In this guide I will walk you through the exact process of setting up the Amazon to Facebook custom audience integration with AMZPromoter. 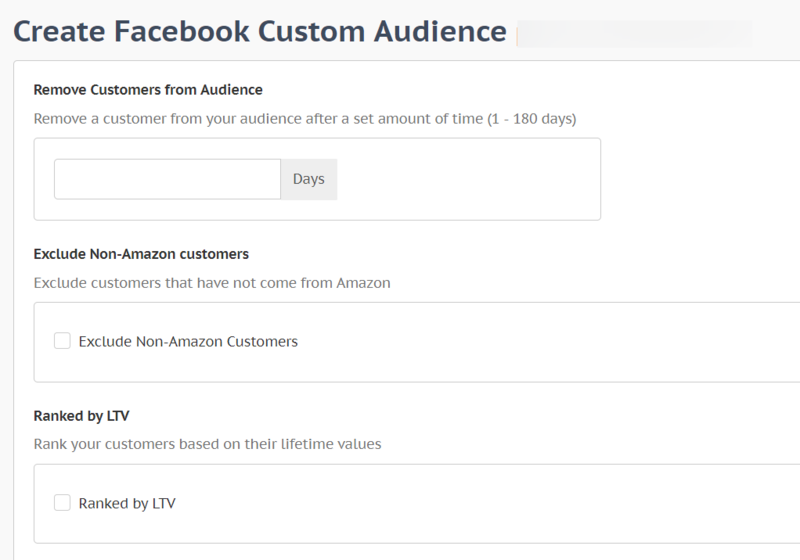 This feature enables you to communicate with your Amazon buyers outside of their platform by pushing them to a Facebook custom audience list. 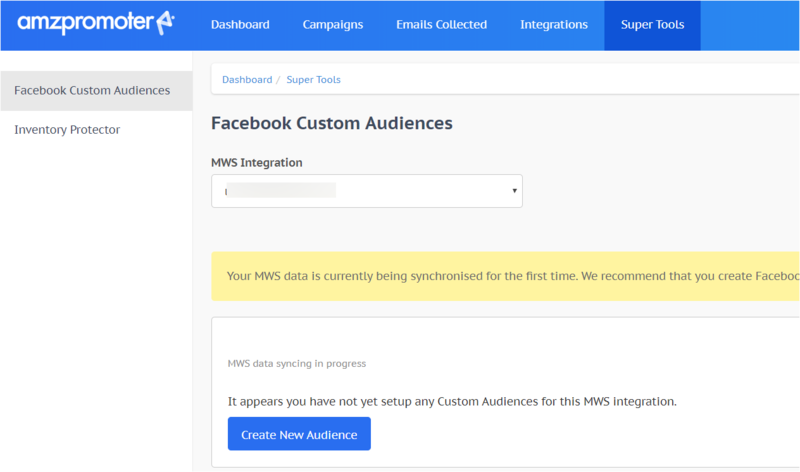 Once you have created the integration every 4 hours we generate a SellerCentral report of all orders that have taken place and then push the customer's details (Name & Address) to a Facebook custom audience which Facebook then match to a Facebook account. Not all customers will be matched, but a majority will be. From here you can then communicate directly to this group via Facebook ads. This is very effective for following up for reviews, cross-promoting your other products, launching new products or reminding your customer to purchase from you again. The setup is located in the Super Tools section of the app. Before you start, make sure to have setup an MWS integration with AMZPromoter. Click 'Create New Audience' to initiate the setup. Next page is the customer filter creation. 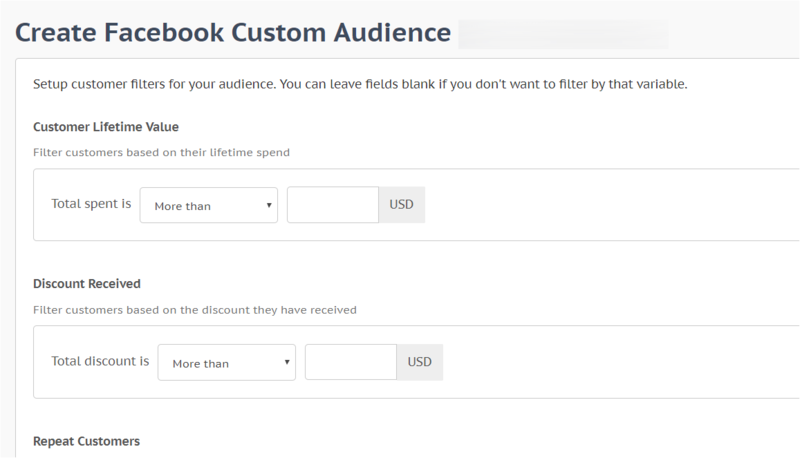 Here you select which customers get pushed to the custom audiences base on their spend or the discount they have received. This is useful if you want to build a quality list of only your best buyers and to avoid bargain hunters. You can also exclude repeat customers if you want to communicate with only first time buyers. 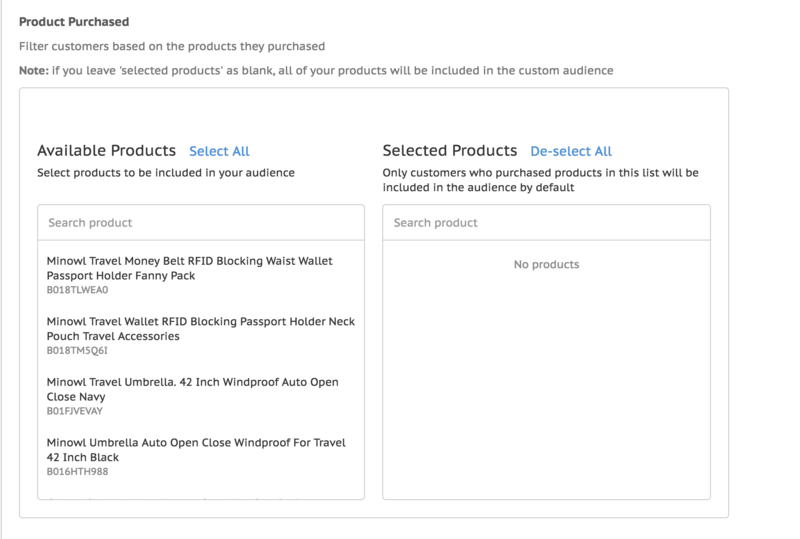 Further below, choose which products you want to include in your audience. This is useful if you are selling products in different niches and want to separate them into different audiences. The second part of the setup are more audience options. You can automatically remove your customer from a list after X days to constantly refresh your list for evergreen advertising. If you use FBA to fulfill on other platforms you can exclude them from the list. You can rank your customers by LTV to improve the quality of Lookalike audiences. Finally, choose a date for when do you want Amazon to start pulling the data. You can pull from up to 1 year in the past. Click 'Create Audience' and your setup is completed! You can now see your audience in the Facebook Audience tab.